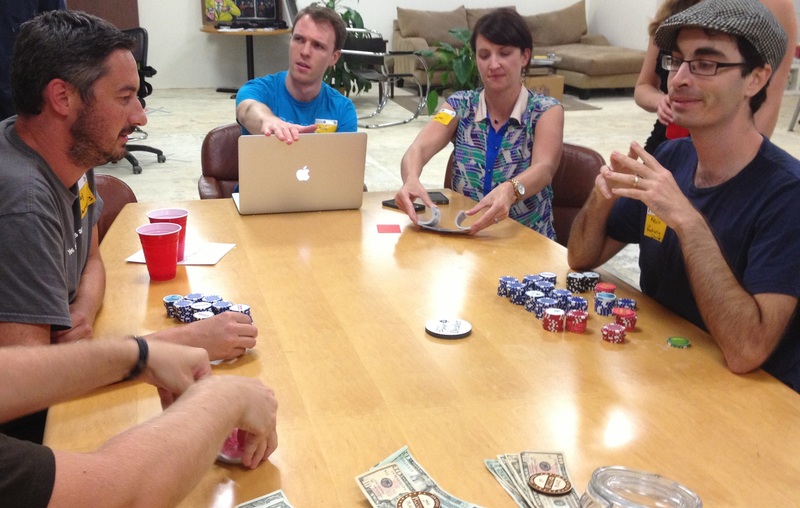 The second San Diego Startup Poker 2.0 event is in the bag and was a ton of fun. We had an even bigger turnout this time and John Lynch of Kaleo even brought some awesome prizes! 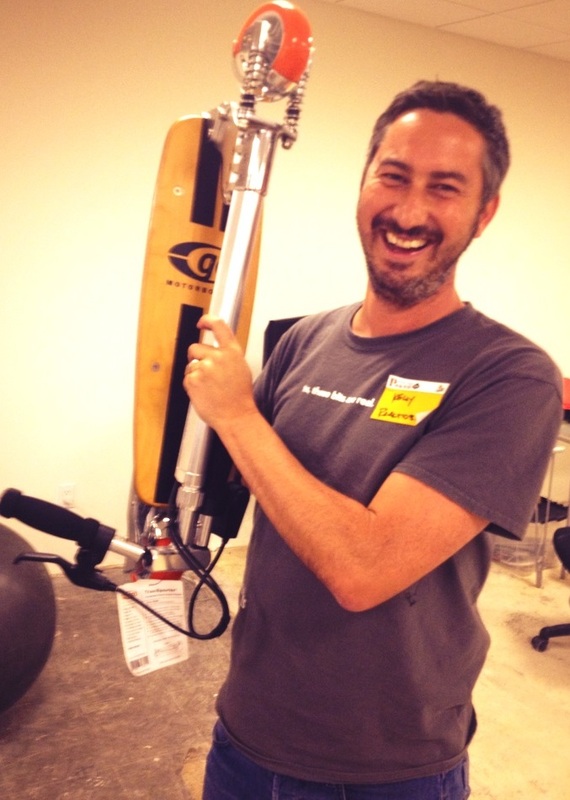 In addition to the regular winnings for in-the-money players, the player with the most chips at the start of the final round won a Motorboard—a motorized scooter that Lynch provided courtesy of a previous startup. Don’t tell our landlords, but we set up a sweet obstacle course in our office so we could test it out. We also listened to feedback from the inaugural event and mixed up the tables every two rounds. This turned out to be a great change and will stick with us for future events. We placed a bounty on the heads of our previous winners with the intent of scaring them away. Unfortunately this seemed to embolden Kevin Ball who ended up in the money…again. We may have to gang up on him at the next event. Any sharks out there want to lend a hand? This time we had a 1:7 ratio of women to men. But unlike last time, there weren’t any women in the money. Close, but no cigar. Time to get ‘er done, ladies! We also started some other geeky game at the, ahem, “non-winners” table. That table got as rambunctious as the poker tables! Geeks really do just want to have fun. A special thanks Austin Neudecker from Membright for organizing this. Thanks again to our sponsor Embarke, Inc. 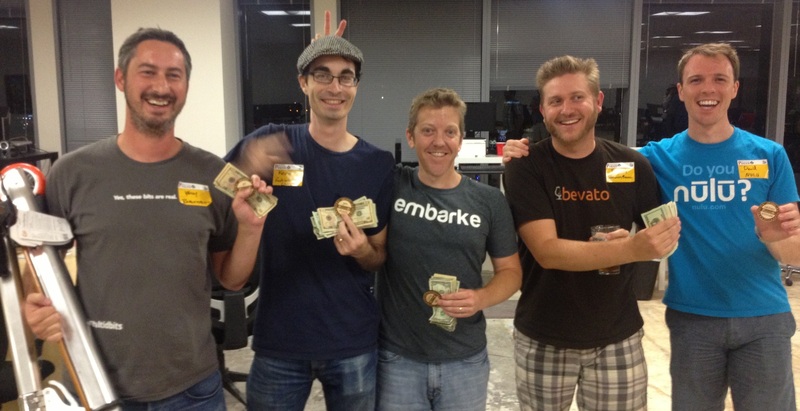 Please share the love with a tweet to @embarke!